Okay friends, TODAY’s the day! 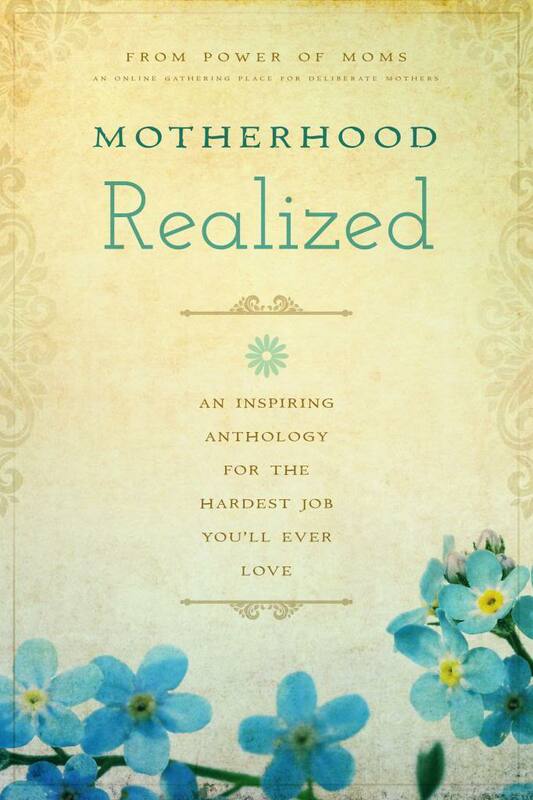 It’s the launch of our new book, Motherhood Realized! An inspiring anthology for the hardest job you’ll ever love. Those of us who co-authored the book believe family life is beautiful and motherhood is a privilege. We also know that some days it’s hard to see that beauty. Especially when you feel you don’t match up, or your heart wants to do more than your hands can manage. This book redefines what it means to be a “good mom.” It discusses topics like getting through hard times, shifting perspectives, identifying your strengths as a mother, and savoring moments. It will make the perfect mother’s day gift. Because it resonates with mothers in any stage of parenting. And… in case you missed the memo last Friday, here’s the wild pie in the sky of it: Our publisher thinks we can land our book on the New York Times Bestseller list!! But we need your help! If you buy the book between now and Saturday, you can receive some great prizes from Power of Moms (including an invitation to the Park City Retreat!). Just buy your book then fill out the requested info on the website. HERE’S THE LINK, so you can view prizes and see author bios. And here’s the AMAZON LINK for purchasing. Katrina Kenison, who wrote Mitten Strings From God, is one of our contributing authors. As well as Linda Eyre, Shawni Porthier, Saren Eyre Loosli, April Perry, Allyson Reynolds, and other wonderful, insightful women. These lovely posters are quotes from the book. And for fun, a peek at our newest Keddington cousin. My little niece. Fresh from the other side. Hana Holman. Born Friday, March 21st. Welcome baby girl. Your Mom and Dad have been waiting oh so long for you. I can feel the warmth of your tiny flame, lit by divine parents and cradled into this world for us to breathe on, enlarge, surround, love. You’re going to shine here. I just know it. Temporarily sold out on amazon, boo! Hopefully it comes soon! Really excited! Congrats!